Ar. 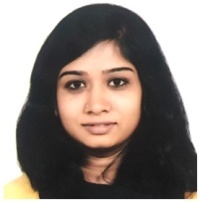 Akshaya Lakshmi Narsimhan has a bachelor’s degree in architecture, from TVB School of Habitat Studies, New Delhi, and a master’s degree in Art (Art, Space and Nature) from Edinburgh College of Art, UK. While doing her bachelor’s program, she interned at Studio Naqshbandi (Auroville, Tamil Nadu) with Mona Doctor Pingel and Poppo Pingel, where she was involved in the design development of the Tamil Heritage Centre and Depanam School. Thereafter, as Project Architect, Akshaya worked with S. Ghosh and Associates in New Delhi on various housing and city mapping projects. She has also been involved in developing and creating many participatory Public Art works. She was awarded a scholarship by Guru Gobind Singh Indraprastha University, New Delhi, for ‘Excellence in Architectural Thesis’ for her B. Arch Thesis Project titled ‘Chromossance’. She has participated in a month long Public Art Festival/ workshop located in Rembang, Indonesia, curated by Architect Eko Prawoto. As a part of NODI Collective, she worked towards creating and curating ‘Myself Mohan 1909’, a public art project funded by India Foundation for the Arts (Bengaluru). She has also exhibited her artwork ‘BlindHead’ as part of the Serendipity Arts Festival (Goa).